Flavour profile: Rich and deep tasting malty flavour with a complex yet smooth character. Full bodied profile without astringency but balanced by light tannins. Tastes great drunk black but especially nice with milk. Leaf: Attractive mix of soot black leaves, CTC leaf and a few golden tips. Origin: Assam tea gardens - India, Kangaita estate - Kenya. Background: This breakfast blend new for 2017 took 55 combinations to get just right! 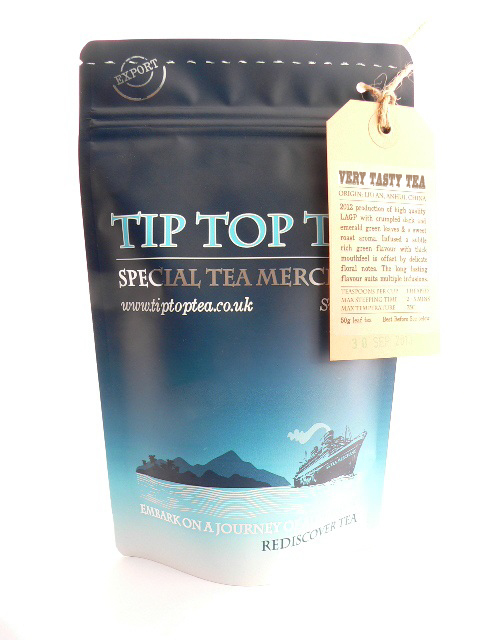 It uses high quality teas picked from some of our favourite black tea producing regions. A malty orthodox Assam leaf from Phillobari Estate is blended with a robust CTC Assam from Sewpur creating deep malty base notes. Finished with a flavourful orthodox Kenya from Kangaita Estate, which adds complexity and brightness. By combining these varied individual profiles, we've created a fully flavoured breakfast tea at a great price! Brewing guide: 3.5-5 grams per 200ml. If drunk black try 3.5g for 3min30s. If adding milk use 4-5 grams and brew up to 5 minutes for real strength. See brewing guide on the main black tea page. An excellent everyday tea - perhaps not as complex and lively as the Ceylon Silver Kandy FBOPF 'EXSP' - but good value. And compared with loose teas from Supermarkets - just streets ahead and worth every penny!